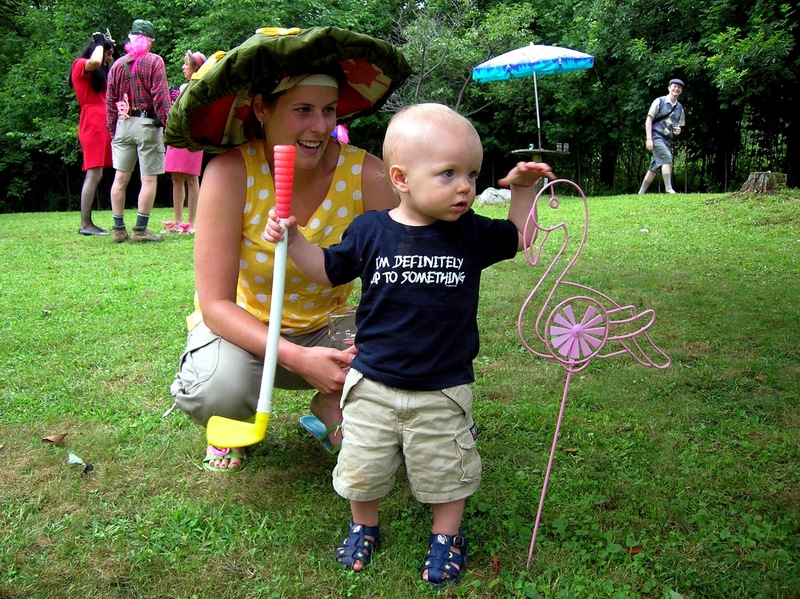 One of the great things about an annual event like the Leeds & Grenville International Pink Flamingo Croquet Match & Beer Swill is you can look back over time and see how your kids have changed over the years, especially when they are young. I was looking through photos the other day and loved seeing how much A has changed from his first match in 2003 through now. 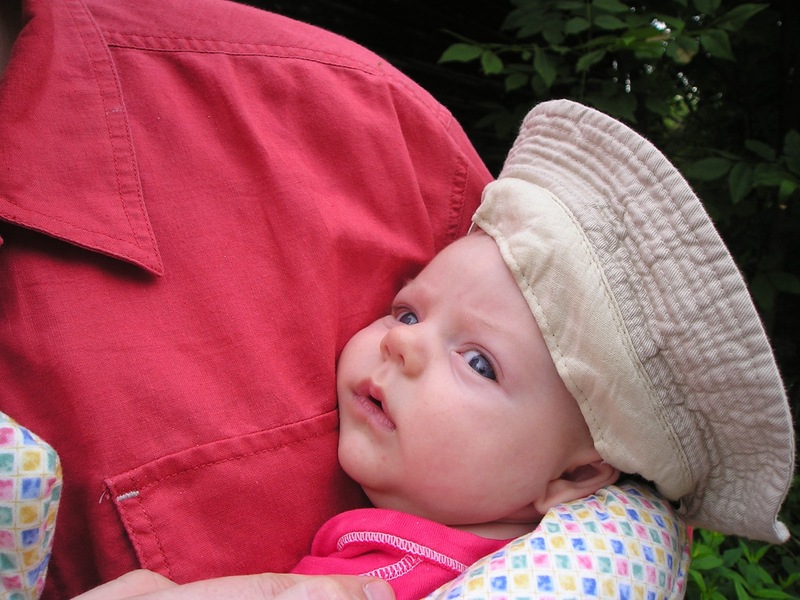 2003 – A is about 10 weeks old and totally freaked out by the whole thing. 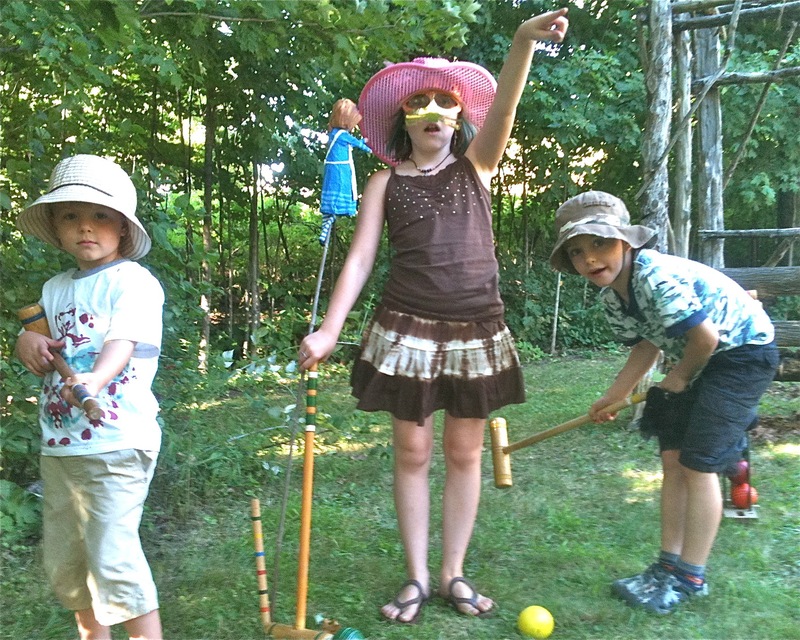 2004 – What a difference a year makes. A is now wandering the course, learning the basics. 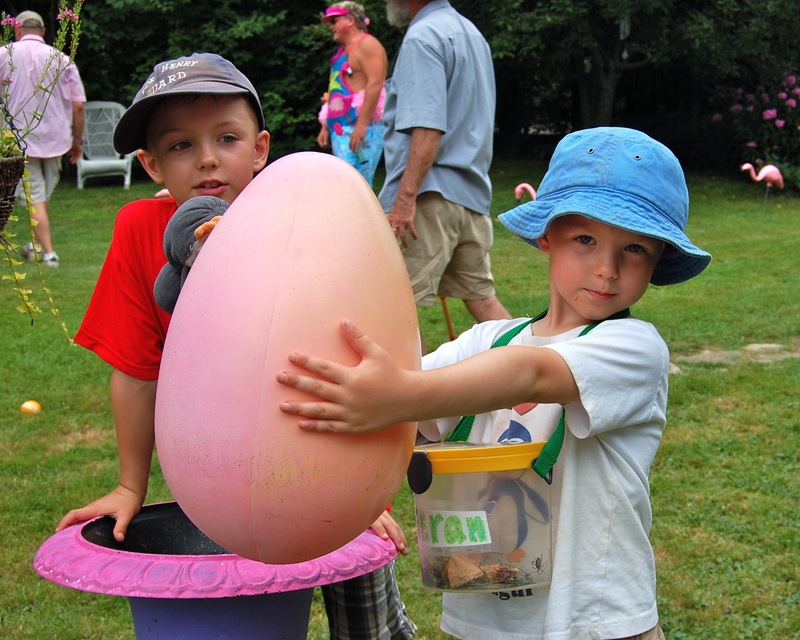 2006 – Skip ahead a couple of years. 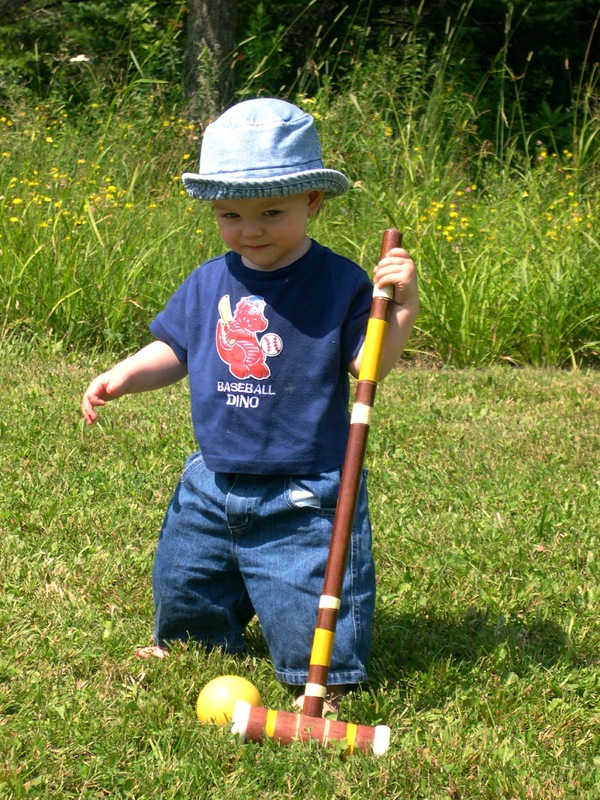 A enjoys hanging out with Auntie M.
2006 – K makes his debut at the croquet match. His hair would debut a year later. 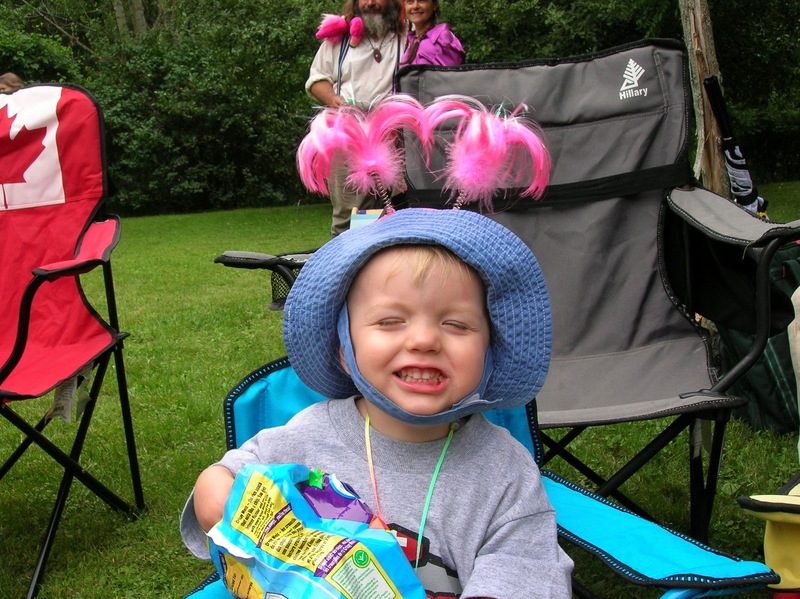 2007 – K is two years old and is already showing his mischievous side. 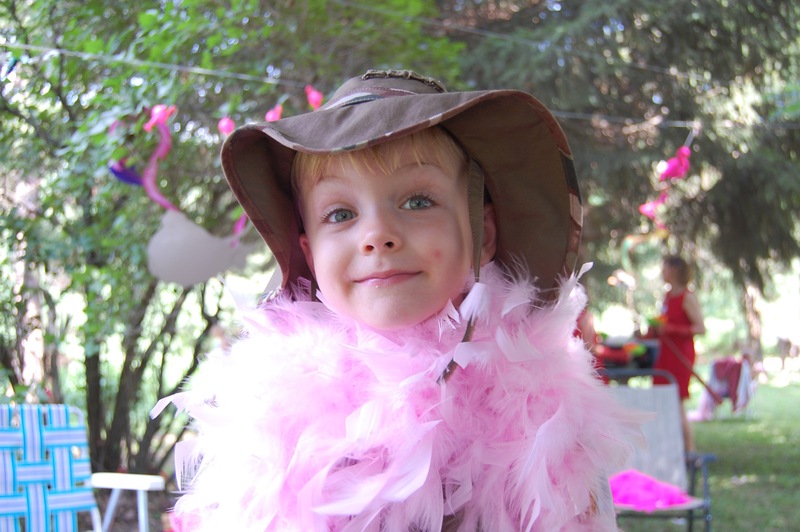 2008 – A discovers the joys of a feather boa and poses for a photo that will inevitably come back to haunt him. 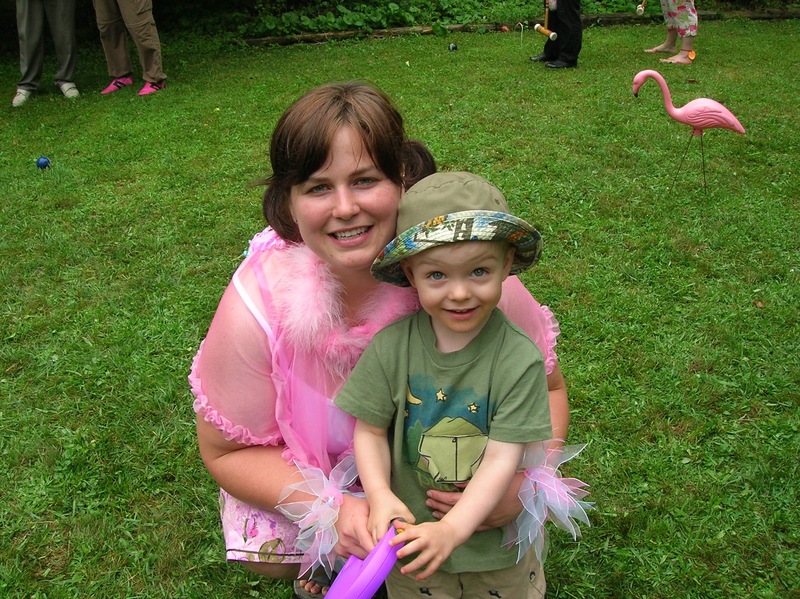 2011 – The boys learn that flamingos come from giant pink eggs.